Many people love shopping at Target. It’s difficult to walk into the store and come out spending less than $100 on any trip. But did you know that you can get free Target samples to help lower the amount you spend at the store? Target used to have a program known as Target’s Sample Spot. The Sample Spot program provided a number of ways to get Target free samples with little effort. Sadly, the program no longer exists but there are still many ways to get free stuff from Target. Getting free samples is great but free stuff that you actually use provides the most value. Earning free Target samples is quite simple. 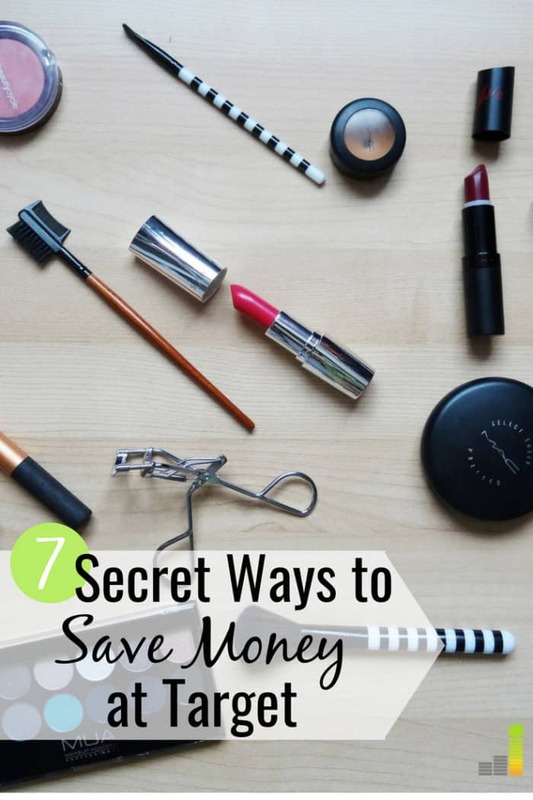 You can even use many of these hacks to to help reduce spending when shopping at the store. While it takes a little work, it is possible to get free stuff from Target. If you like shopping at the store and want a way to lower costs, here are the seven best ways to get free Target samples. The Target REDCard is a must for regular Target shoppers. There is a credit card option for the REDCard or the option to use a debit card instead. Regardless of the option you choose, you save five percent on your in-store or online purchases each time. What I like about the debit card is that it connects to your checking account. This way, you save money on your purchases and not run the risk of racking up debt. Applying for the Target REDCard is free and it’s why I recommend it to anyone even if they only shop at Target occasionally. If you keep track of the savings accumulated by the five percent discount, you can use that money to get free stuff at Target. Ibotta is a cash back app that you can use when you shop for groceries and regular household items. You can unlock rebates on the app for specific products and scan your receipt after making the purchase to earn cash back. Target shoppers can use Ibotta when making purchases to earn cash back. The cash back can be used to get free stuff at Target. Ebates is another app that pays shoppers cash back; however, it works only for shopping online. With Ebates, you buy whatever you want and earn cash back which is paid out quarterly. If you want to stack your savings, here’s one way to do it. Order something from Target.com and then activate Ebates. This way, you earn cash back but if you make the purchase with your Target REDCard, you’ll earn double cash back. Check out our Ibotta review and out Ebates review to learn more about each app. If you’re having a baby, creating a Target registry should be on top of your to-do list. Target offers free two-day shipping for purchases over $35 along with a ton of baby items. Creating a registry gets you a free welcome kit filled with $100 worth of coupons and free Target samples for new parents. This is a great way to get free baby stuff and test out products before you give birth. You can pick up your gift from the Guest Services department of your local Target. You also receive a 15 percent discount on everything that isn’t purchased from your registry after the big day. There’s also a generous return policy and Target will let you exchange items from your registry for up to a year after your due date. Taking surveys online is a great way to make some extra money during your spare time without a lot of effort. If you have a few spare minutes each day, sign up for several survey sites and earn money or points for simply offering your opinion. Not all survey sites are the same. But most pay you in cash or points that can be redeemed for gift cards or a PayPal gift card that can be turned into cash. 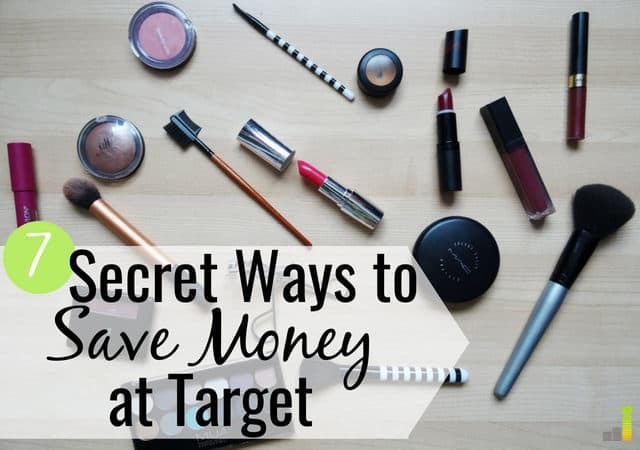 You can use your earnings to pick out free Target gift cards, or cash or other store gift cards, that you can use in the store or when shopping online. Survey Junkie: Survey Junkie is one of the oldest survey sites, starting in 2005 and boasting over three million members. You earn points, which can be converted to cash or rewards, by taking surveys. You can take redemptions once you hit $10 worth of cash or rewards. Read our Survey Junkie review to learn how to maximize earnings. Pinecone Research: Pinecone Research is one of the higher paying survey sites on the market. The pay starts at $3 per completed survey and increases the longer you’re with the company. The best part of Pinecone Research is they have no minimum redemption so you can redeem rewards right away. Read our Pinecone Research review to learn how to maximize earnings. Global Test Market: Global Test Market is even older than Survey Junkie, starting in 1999. They’re a bit unique in that they pay you for testing products but also ask for feedback on products you already use around your home. Global TestMarket has paid out over $30 million in earnings since 2016. Prize Rebel: Prize Rebel is similar to Global Test Market in that they pay you to sign up for free trials and test those products. Prize Rebel also pays you to watch videos and answer surveys. There have been over seven million active users of the platform since it’s inception in 2007 and you can sign up to start making money in ten seconds. Swagbucks: Swagbucks is similar to Ibotta and Ebates as you get cash back on purchases using their app. Swagbucks also pays you to do other things including: use their search engine, watch short videos, and play games online. Like other survey sites, Swagbucks pays out in points (known as SB points). Those points are then converted into cash you can redeem for rewards like Target gift cards. Read our Swagbucks review to learn how to maximize earnings. You won’t become wealthy taking surveys but they are an easy way to earn some cash in your free time. It’s also worth noting that many survey sites run promotions, letting you get gift cards for cheaper than face value. If you’re interested in scoring free makeup samples, the Beauty Box one of the best ways to get free Target samples without surveys. You do have to pay for the box, but the value of the items in the box is higher than what you paid for originally. Each box comes with a variety of samples for things like perfume, makeup, and other personal care items. There’s a $7 box containing $28 worth of products and a $10 box with a $50 value so it’s not a bad deal. Beauty Box offers tend to change each month so be sure to search for the current offer on Target’s website. Target’s Cartwheel app is one of the best ways to save money on in-store purchases. You probably won’t get free stuff but you will save money and earn discounts. The offers on the app change all the time and you can get discounts and coupons for various items. Last year, around the holidays, I wanted to buy my husband some pants. I checked the Cartwheel app and saw that Target had a coupon on the app for men’s jeans. At the register, I simply handed my phone to the cashier to scan and the savings were applied. Stores like Target love to use social media to share discounts. You can follow Target on each social media platform to learn about deals and discounts. You can take this a step further by using Reddit, an online social networking and forum site. Reddit has various sub-forums, known as subreddits, where you can find niche discussions, including how to find free samples and items from Target. Simply go to one of those subreddits and type in “Target free samples.” This will take you to a list of all the posts with people discussing what they’ve done to get free items from Target. You can also do this for any store where you like to shop to find discounts and freebies. While Target no longer has their Sample Spot program, there are still plenty of ways to receive freebies and discounts to enjoy their products without overspending. Most people are either unaware of these ideas or don’t take enough advantage of them. But now that you do know, try to combine some of these hacks for maximum savings. What are some things you’ve done to get free Target samples? What’s one store you struggle with overspending in? Do you shop at Target a lot? What are some of your favorite ways to save when shopping?